Did you know we give away FREE BOWS to all the mamas having baby girls?! It's true! Take a photo of your babe, nursery, belly, or ultrasound and follow the steps below. Post a photo to Instagram with this caption and hashtag "Hey @littlepoppyco, IT'S A GIRL!!! Fill out the form below and submit your photo. Make sure your Instagram account is set to public and your submission is a new post. 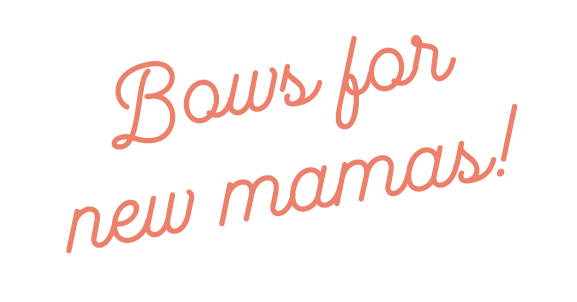 Free bows are only for pregnant mama's, or new babes under a month. Your post must be baby related! Think new outfit, pregnant belly, shot of the nursery, ultrasound picture, etc. It MUST BE A NEW POST! For new subscribers (or subscribers adding additional subscriptions for new babies) only. Private profiles will need to be made public for us to know you've posted (can go back private after you receive code). Shipping not included. Once you have submitted your photo, Little Poppy Co will have rights to repost for marketing purposes on social media accounts.